The monthly Labor Force Survey of Statistics Canada has found that the unemployment rate of Canada reached a record low in the month of November. Canada’s unemployment rate was 5.6 percent in November when nearly 19 million people were found to be employed in the country. Unemployment rate is the number of unemployed people as a percentage of the labor force. This is for the first time Canada’s unemployment rate is hitting 5.6 percent, which is the lowest since 1976, the year from which comparable data is available. Compared to the previous month, the number of employed in Canada increased by 0.5 percent in November. The provinces Quebec and Alberta saw the biggest drop in unemployment rate in November 2018. The unemployment rate in Quebec was 5.4 percent in the month, where the number of the employed grew by 26000. The increase in unemployment rate was especially visible in professional, educational, scientific and technical services. In Alberta, employment rose by 24000, while in Ontario, the employment rise was by 20,000 people. Employment rate increased in British Columbia also, with 16,000 more people finding employment in the province in November. British Columbia has the lowest unemployment rate in Canada at 4.4 percent. Saskatchewan and Manitoba also witnessed an increase in employment by 5500 and 2600 respectively, in November. As far as the industries in Canada are concerned, the biggest increase in employment was witnessed by professional, scientific and technical services at 26,000. Ontario and Quebec recorded the highest increase in employment in these sectors. The other sectors that marked increasing employment rate in November were healthcare and social assistance. Canada is in need of skilled foreign workers to fill the rising number of job vacancies, especially in provinces with a smaller population. For those who aspire to immigrate to Canada, this is the right time to initiate the application process. 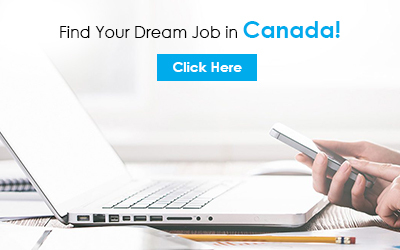 Contact us for more information and guidance on Canada immigration and the application process.